England meets the Moors… a typical English vegetable, cold and shredded, and mixed with Moorish flavours. What’s not to love? 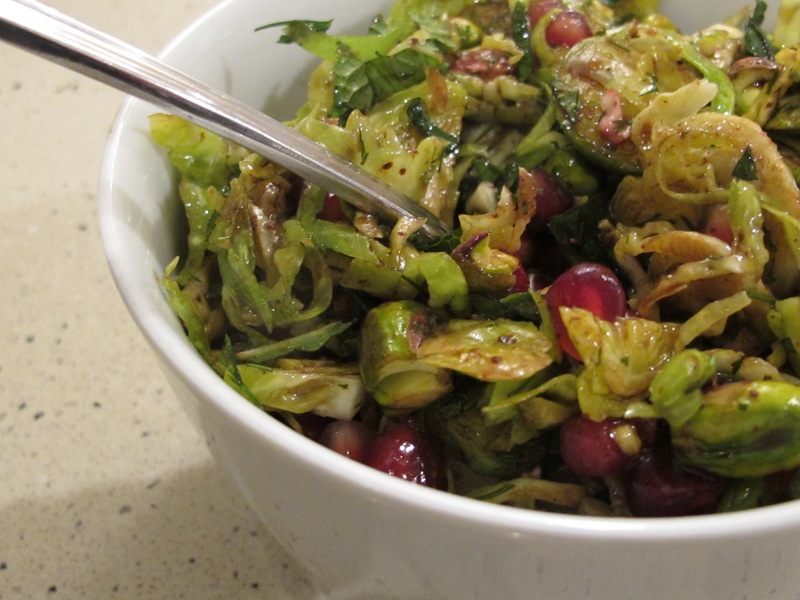 This is an unusual and tasty salad which deserves a spot on your regular winter menu. The dominant flavour changes from mouthful to mouthful, one moment lemony [lemon juice, sumac], the next fruity [pomegranate molasses and seeds]. Don’t worry about leftovers. If there are any, they taste better the next day. Simply keep in a sealed plastic box overnight in the fridge. This is another recipe by Gizzi Erskine. 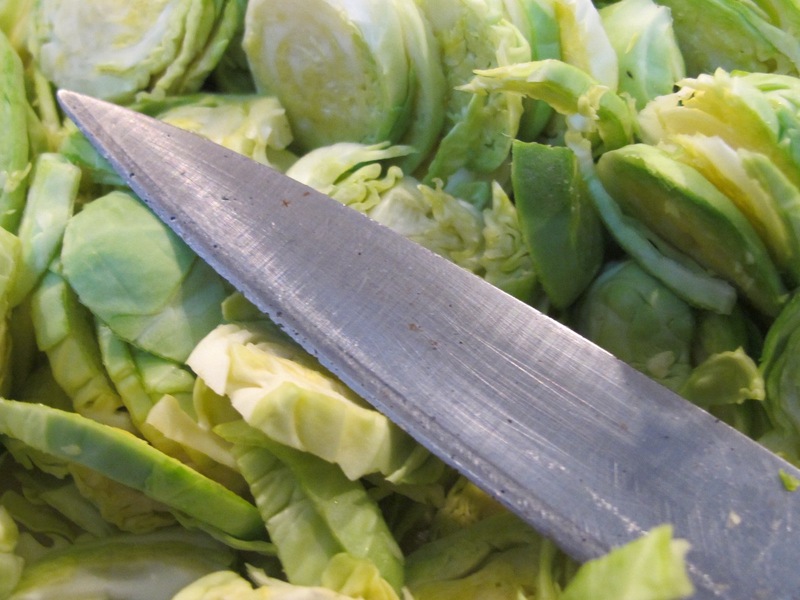 freshly ground black pepper Place the shredded Brussels sprouts into a large bowl and set aside. 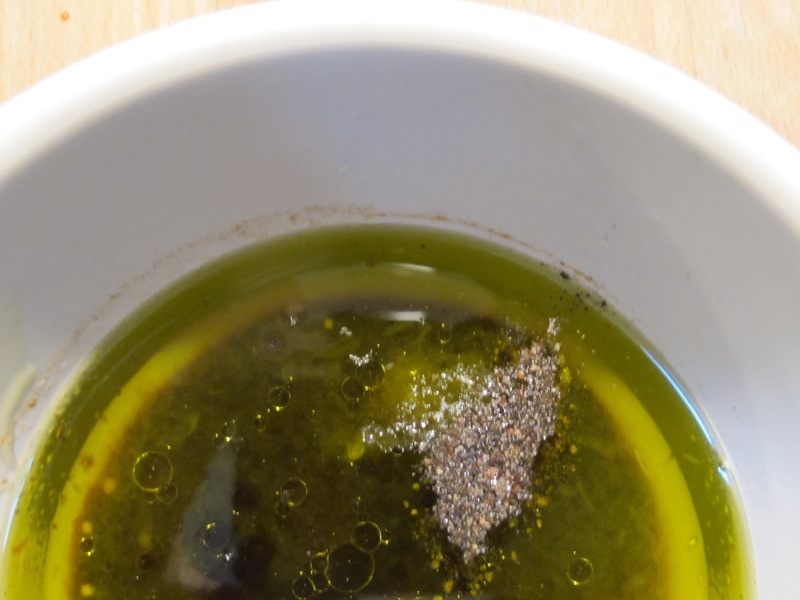 In a small bowl, mix the dressing ingredients and whisk until combined. 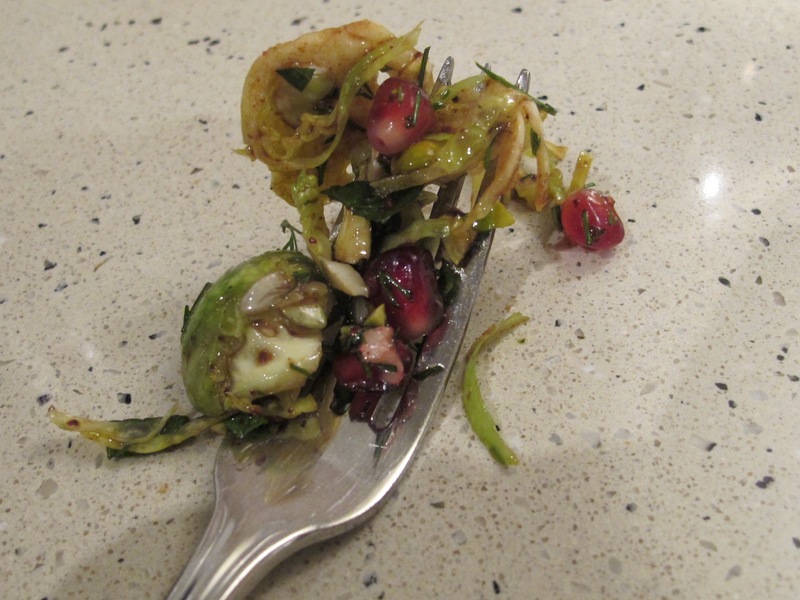 Pour the dressing over the sprouts and leave to macerate for 15 minutes [a minimum, longer is fine]. This entry was posted in A love of food and tagged Andalucia, food, recipes, Sandra Danby, Spain on January 22, 2018 by sandradan1.